A bill making it a separate crime to cause the death or injury of an unborn child passed its first House committee Wednesday. Seminole Republican Representative Larry Ahern says his bill covers violence against a woman who’s pregnant with a child at any state of development. “All this does, is seek to clarify is that there’s no timeline for the death, that no matter what, if a woman is pregnant, she’s pregnant, it’s not an unborn quick child [viable fetus outside the womb], it’s just an unborn child,” said Ahern. But, Lake Mary Democratic Representative Mike Clelland had concerns regarding when life begins. He also raised questions about how that would be policed, using a scenario where someone recklessly causes a car accident where a group of teenage girls are injured. “And, they’re ages 15, 14, and 13, and they all suffer abdominal injuries. How are we going to figure out #1 whether or not they’re pregnant? Are we going to explore their sexual history? Are we going to take their bodily fluids to determine if they’re pregnant? And, if let’s say, we do that, and one or more of the children are pregnant, and two or three months later miscarries, for reasons unrelated to the accident. How is all this going to come about,” asked Clelland. Ahern says while he believes Clelland’s example will be decided in court on a case-by-case basis, he hopes to come up with an answer before the bill’s next stop. But he says that shouldn’t take away from the intent of the bill to punish those like a Leon County man accused of killing an ex-girlfriend in her second trimester. The measure passed 9-4, largely along party lines, with most Democrats opposed in the House Criminal Justice Subcommittee. Meanwhile, a similar bill in the Senate is expected to have its second hearing next week. A bill that would make it a separate offense to cause the death or injury of an unborn child cleared its first Senate committee Monday. With just the change of a definition in Florida law, Lakeland Senator Kelli Stargel says she hopes to both reduce violence against women and provide justice to unborn victims. 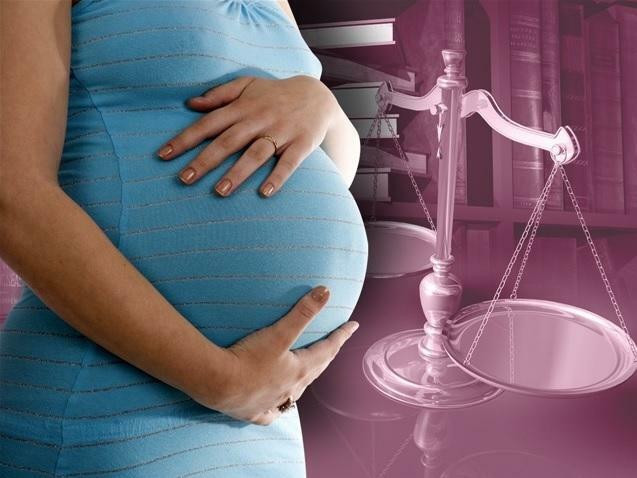 A legislative effort is underway to make it a separate crime in Florida to cause the death or injury of an unborn child. the bill doesn’t differentiate based on intent or the child’s stage of development. It’s currently a crime to cause or contribute to the death of what’s called an “unborn quick child,” —that is, a fetus that can live outside the womb. But legislation filed by Lakeland Senator Kelli Stargel and Seminole Representative Larry Ahern would expand the definition to include any pregnancy. The Florida House took up more than 80 measures Wednesday. Some were just discussed, and teed up for a vote Thursday. Others were voted on and sent over to the Senate, and a few were even sent to the Governor’s desk. The following are just some of the more closely watched and highly debated bills up for discussion.